Osteoarthritis (OA) is the most common form of arthritis affecting the weight-bearing joints and is suffered by millions of people worldwide. Due to continuous use of these joints, cartilage wears out and the friction between bones causes heat and pain. This is disabling and can significantly reduce the quality of life of a person suffering from it. The most commonly affected part is the knee. Signs and symptoms suggesting OA include pain related to movement, tenderness, and stiffness of the joints upon waking up. Patients with stiffness lasting for unusually longer duration should see the doctor. 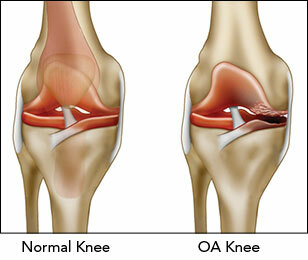 Knee OA can increase the risk for knee injury if OA is not managed promptly. Although it has no cure, exercise, healthy weight, and control injections of hyaluronic acid (HA) or normal saline solution (NS) can help slow down the progression of disease. Severe and uncontrollable signs and symptoms may lead to loss of function of the knee and is strongly suggestive of indication of knee replacement. However, if manifestations are not strongly indicative of knee OA, doctors may perform knee arthroplasty to differentiate it with gouty arthritis (GA). Therefore, Dr. Amir Khoshbin’s team from Ontario, Canada conducted a study entitled, “The Efficacy of Platelet-Rich Plasma in the Treatment of Symptomatic Knee Osteoarthritis: A Systematic Review With Quantitative Synthesis”. 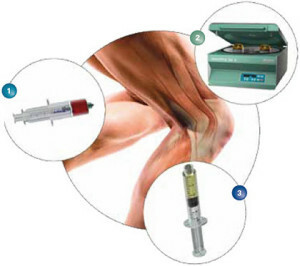 The purpose of the study was to conduct a synthesis of all available literature about efficacy of platelet-rich plasma (PRP) in managing knee OA compared to control injections. This was done by conducting systematic reviews of all available high-quality published randomized controlled trials (RCT) and prospective cohort studies evaluating efficacy ofplatelet-rich plasma (PRP) versus control injections of HA and NS for knee OA from Medline, Embase, Cochrane Central Register of Controlled Trials, PubMed, and clinicaltrials.gov. Reviews were done independently and differences were settled through discussions. The study was published in Arthroscopy: The Journal of Arthroscopic and Related Surgery on December 2013. Participants included in the study totalled to 577 patients. 264 (45.8%) were assigned to the treatment group (subjected to PRP) and 313 patients were assigned to the control group (received control injections in the form of HA and NS). 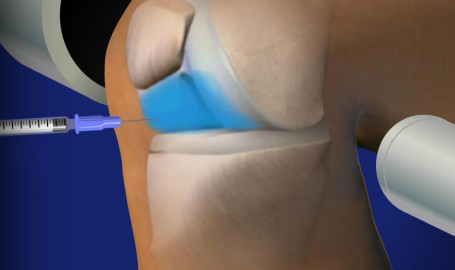 After 24 weeks, therapeutic effect of platelet-rich plasma (PRP) vs. control injection was measured through the following outcome measurements: Western Ontario and McMaster Universities Arthritis Index (WOMAC) , visual analog scale for pain (VAS), International Knee Documentation Committee Subjective Knee Evaluation Form (IKDC), and overall patient satisfaction. Patients receiving platelet-rich plasma (PRP) were observed to have higher WOMAC and IKDC scores reflecting PRP’s superiority from HA and NS. However, there was no significant difference between VAS scores and patients’ satisfaction of the control and treatment group. This may be attributed to the participants’ heterogeneity and limited number. Researchers suggested increasing the number of participants. No adverse events were reported in both studies. In the study, it was specifically discovered that a series of 2-4 injections of platelet-rich plasma (PRP) at a minimum of 24 weeks improved the functionality of the joints as evidenced by higher WOMAC and IKDC scores. Overall, using platelet-rich plasma (PRP) injections can have beneficial effects for treating mild to moderate OA in about 6 months. This is another leap in the advancement of sports medicine. If you have knee pain, contact our sports medicine specialists at Orthopedic Surgery San Diego for an evaluation.